Join PFF Fantasy senior analyst Scott Barrett 10:30-11:30 a.m. 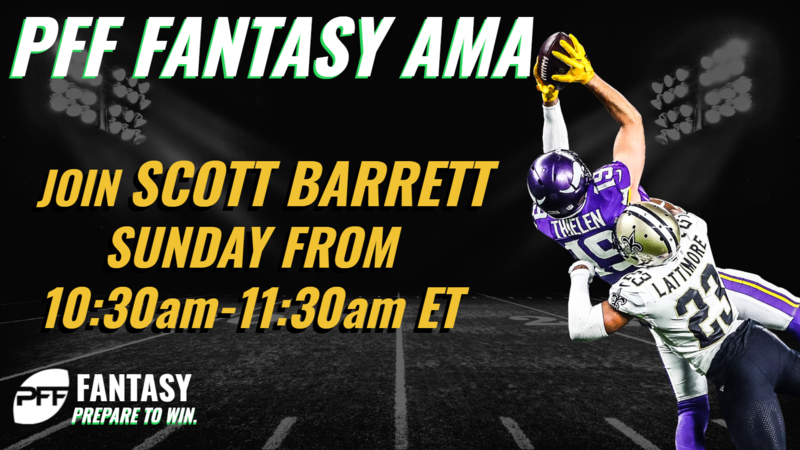 ET Sunday for a live fantasy AMA to help fantasy football owners prepare for Week 9 of the NFL season. Need to know who to start? Who to sit? Who to pick up and stream? Scott’s got all the answers ready.